$5/$20 Fresh, Frozen or Deli Meat Target Coupon: Use at Price Chopper! 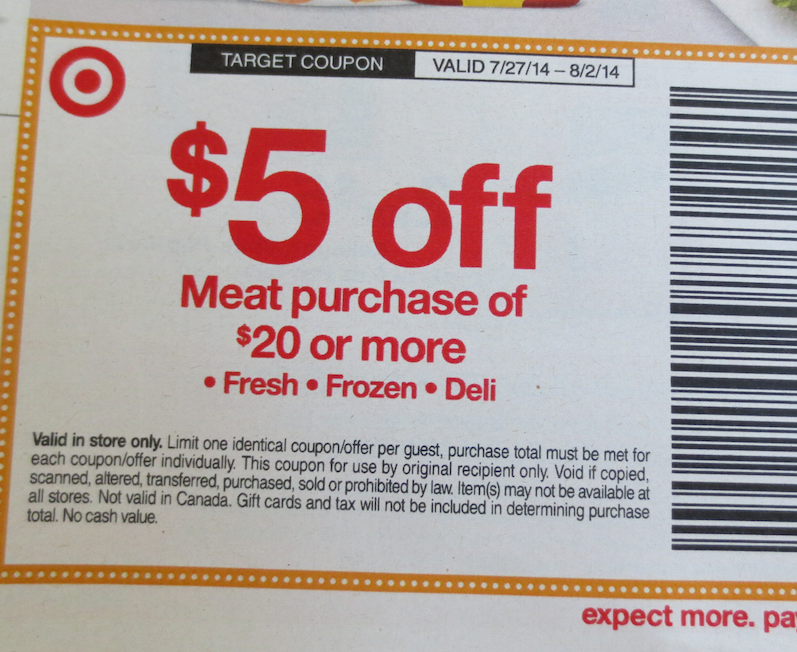 The 7/27 Target flyer includes a great coupon: $5 off a meat purchase of $20 or more on fresh, frozen and/or deli meat thru 8/2. If your Price Chopper is in the vicinity of a Target you can use this as a competitor coupon! This coupon may also available as a printable on Sunday, if so I'll add the link in.